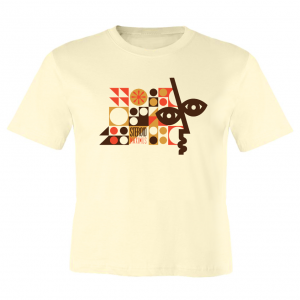 Orders within US are shipped via USPS First Class Mail. Orders outside US are shipped via International First Class Mail. In cases where it's not available, we'll use Airmail Letter-Post (estimated 3 to 4 days longer). Payments are processed via PayPal. Through PayPal, you can make secure payments by bank account, debit, or credit cards. A receipt for your completed transaction will be provided from PayPal. Please respect the wishes of the artist by not uploading music to blogs, torrents or other P2P services. We only sell entire albums to retain the integrity of the works as they are intended to be heard. Encoding is mp3 format, 320kbps, 44khz, stereo. As soon as your purchase clears PayPal, you will be redirected to a page where you can download your purchase(s). MP3s Are only available for purchase from desktop computers. Your shopping cart is empty. Add items to your cart. JG Thirlwell‘s new musical project is Xordox. This is the first album entitled Neospection, released on the highly respected and influential Editions Mego label. Neospection is predominantly a synthesizer record, recorded at Self Immolation studios in Brooklyn, although it also includes overdubs of Buchla and Serge synthesizer created during Thirlwell’s residency at the legendary EMS Studio in Stockholm. The album features Noveller’s Sarah Lipstate on guitar on three of the eight tracks. JG Thirlwell has created the original musical score for Tony Oursler’s feature-length film/installation Imponderable. The CD is packaged in deluxe digipack with silver foil lettering with a 48 page color booklet containing stills from the film and images from Oursler’s archive of supernatural and occult phenomena. The long-awaited follow up to the highly popular score from the hit Adult Swim cartoon The Venture Bros, composed and performed by JG Thirlwell. Please respect the wishes of this artist by not uploading material to blogs, torrents, P2P services and social sharing sites. SOAK is a companion/satellite album to the previous Foetus release HIDE. Some of the tracks on SOAK were begun at the same time as the HIDE sessions or recorded since, but provide a conceptual progression and/or expansion on some of the themes and ideas of HIDE. For legal reasons, the track “Danger Global Warming: JG Thirlwell remix” is only available on CD and not on the digital version of the album. Please respect the wishes of this artist by not uploading material to blogs, torrents, P2P services and social sharing sites. JG Thirlwell's original score for the motion picture "The Blue Eyes". The film was written, directed and produced by Eva Aridjis. Score composed, produced, recorded and performed by JG Thirlwell, with Karen Waltuch on violin and viola, Isabel Castevi on cello, James Ilgenfritz on contrabass, Nathan Koci on french horn and Marcus Rojas on tuba and bass trombone. Dinoflagellate Blooms features eleven compositions composed, produced and performed by JG Thirlwell. The package includes a CD of the album in stereo, and a DVD with the album in glorious, immersive 5.1 surround sound. The album careens between soft plucked interludes to full blown symphonic frenzy, from musiq concrete nightmares to cinematic mindfields, with a meticulous marriage of samples and live instruments, distressed sounds and mysterious unknown quantities. Initial quantities come with a free 4x5 Manorexia sticker signed by JG Thirlwell. HIDE features ten new compositions by JG Thirlwell, who describes it as a "neo-symphonic avant-psychedelic concept album informed by the culture of fear". Kicking off with a nine minute operatic opus featuring the guest vocal talents of opera singer Abby Fischer, HIDE is an immersive album infused with strands of progressive and contemporary classical, as well as Thirlwell's twisting cinematic journeys, bombast and sombre interludes. Elliot Hoffman of Carbomb plays drums on a track, and there are appearances from Ed Pastorini, Jeff Davidson and Christian Gibbs (Lucinda Blackbear). Ambitious, overwhelming, rough, rugged.... saddle up for a blaze into a flawed but ambitious psychedelic opera. ...However, no matter what sideline work he does, when he comes back to Foetus it is a guarantee that the music will be brilliant. His role as a composer has fed progressively more into Foetus (fitting considering the seeds of Manorexia were sown and germinated in earlier Foetus albums) and Hide has a much wider scope than previously encountered. Recently Thirlwell has been channeling his perverse, eclectic vision into an orchestral context: his Manorexia ensemble purveys intricate, sumptuously weird chamber works, nodding both to classical music and Thirlwell's stylized soundtrack for the Adult swim cartoon The Venture Bros.
JG Thirlwell presented an evening of two sold-out sets of music from his current project, Manorexia, an ensemble consisting of string quartet, piano, percussion, and himself on laptop. If you are familiar with Thirlwell's solo project Foetus or his fast paced big band project Steroid Maximus, this current ensemble may come as a surprise to you, as it is primarily quiet, sensitive, and dreamy. However there are hints of Thirlwell's other personalities hidden in the music: as haunting melodies drift over other-worldly harmonies, the potential of violence looms, with occasional bursts of industrial percussion and raw, repeated string figures that cut into the otherwise serene sound. Manorexia's music always seems to be on the verge of some magical discovery -there is a sense of wonder and amazement as the cinematic landscapes unfold. The most exhilarating and emotionally moving piece, "Chloe Don't Know I'm Alive" (from Manorexia's second album, The Radiolarian Ooze), began with a string unison while the pianist bowed a low piano string, emitting a glacial texture. Tom-tom tremolos swelled in and out of the sound as the string tunings shifted ever so slightly, creating immense emotional impact in an already apocalyptic atmosphere. In all this darkness, somehow the narrative of the piece ended up in light, as the harmonies brightened, and bells were ringing. So it's a performance of fairly creepy, subtly exciting and wonderfully rendered pieces, featuring three lovely ladies on violins, one equally lovely lady on cello, one super chap on percussion and xylophones and whatnot and the foetus JG Thirlwell himself on laptop. The least noticable part is played by Jim and frankly I have trouble figuring out exactly what is coming from his laptop, but it's unimportant. The whole thing is easily enthralling enough to pop me out of my Brooklyn Beer induced premature semi-slumber and raise the hairs on my neck. It's not horror music, but it is subcutaneous and it is impressive in its execution to the level that makes you sick and delirious with awe. It rolls and changes and surprises you. It is a show that finishes with you immediately walking up to buy a CD despite knowing that there is no way it can recreate what you just witnessed. It is one of those rare shows that makes you feel exceptionally lucky to be in a certain place at a certain time. It is what it is all about. It is why I go out. 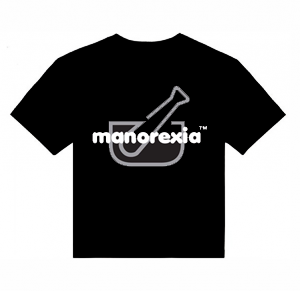 "Manorexia was conceived in the year 2000. I began working on the first album on Thanksgiving morning and released it in 2001. It was started as an electronic and sample based project where I wanted to explore a spatial quality not existent in my other work. I released two albums as Manorexia, "Volvox Turbo" and "The Radiolarian Ooze", both on my label Ectopic Ents and exclusively thru my website foetus.org. I had wanted to rearrange some Manorexia compositions for string quartet with percussion for some time, and proposed this to David Sefton at UCLA back in 2002, but in course of those discussions we switched to my Steroid Maximus big band. Eventually I made the first live performance as Manorexia in Russia in 2006. Kenny Savelson at Bang On A Can proposed my going there for a performance at the same time as the Real Quiet trio of David Cossin, Felix Fan and Andy Russo. Real Quiet agreed to be the core of Manorexia for the Russian dates and we augmented the lineup with two violinists and a violist in Moscow. I rearranged some of the Manorexia material to be played by string quartet, piano, percussion and laptop with Ted Hearne. I have since formed separate Manorexia ensembles in NYC and London. Manorexia has played at All Tomorrow's Parties, The Whitney Museum, Bang On A Can marathon, Brainwaves Festival and several times at The Stone NYC. This album is the product of the first wave of chamber arrangements of Manorexia material." LIMB is released as a deluxe double disc package. The music disc contains 12 tracks at 50+ minutes with an additional 20 minute bonus mp3 track. The second disc is a DVD on which director Clement Tuffreau kindly allowed us to include his 2005 documentary about JG Thirlwell, NYC FOETUS with this package. The film features interviews with JG Thirlwell, Matt Johnson, Alex Hacke (Einsturzende Neubauten), Michael Gira, Richard Kern, Lydia Lunch, Martin Bisi and Elysian Fields along with a lot of never before seen footage of Foetus, Steroid Maximus, Manorexia and more. There is also 45 minutes of bonus extras, comprised of Steroid Maximus 18 piece ensemble live in France, Foetus live in Hannover, Manorexia live at The Stone NYC and a snippet of JG's LEMUR commission at 3 Legged Dog in NYC. The film is subtitled in French. This deluxe package also contains a 48 page perfect bound book with minimal designs by JGT (all in his signature red, white, gray and black palette). This is all held in an attractive sturdy plastic slipcase printed with another of JG's designs. The DVD is available in NTSC or PAL format (chosen when ordering), both region-free. Sick Minutes (Ectopic Version) 8'39"
Bonus track: You Have To Obey 20'00"
Exclusive website-only limited release. Unavailable elsewhere! LIMB is an archival release of experimental and minimalist compositions recorded from 1980-1983, from the early days of Foetus and pre-Foetus. Though the material is largely unreleased, some of the pieces have been previously released on the compilation albums by Coil and United Dairies. Some were excavated and some of it was reconstructed or re-edited from compositions on cassette. One piece is constructed from an organ part written in 1982, which JG took the liberty of finishing in 2008. These pieces were made before the introduction of MIDI and sampling technology. It shows the lineage and genesis of some of the methods that JG is working in today. The original score from the hit Adult Swim cartoon The Venture Bros, composed and performed by JG Thirlwell. To regard VEIN as purely a remix album is to underestimate its intentions and ambitions. VEIN has material from 2005's LOVE fractured and re-imagined by some of today's most notable artists. It is an immersive, powerful and sometimes harrowing cinematic journey through sound and emotion. Includes contributions by Fennesz, Mike Patton, Jay Wasco, TujikoNuriko, Jason Forrest, TRZTN (of Services), Tweaker, Matmos, TomRecchion and J.G. Thirlwell. Ectopic Ents has released DAMP, a Foetus "satellite appendix" album, exclusively thru the Shop on this website. The music consists mainly of unreleased material as well as some rare material. The DAMP cover is a ten panel foldout with lyrics, featuring photos and design by JG Thirlwell. LOVE is a sweeping dramatic epic drenched in harpsichord and orchestras withjarring left turns, bombast and seduction. It features duet with Jennifer Charles of Elysian Fields and an appearance by the amazing Pamelia Kurstin, the world's foremost thereminist! The second part of the album, the final four pieces, are beautiful and twisted and enveloping, sometimes best listened to in a semi-somnambulistic state; by the end, the listener may find themselves in paroxysms of ecstasy at the beauty and sadness and strangeness and other-wordly quality of this cycle. Tapping into his instincts, Thirlwell completed the instrumental Volvox Turbo, album within six weeks (a record time for him) and released this exclusively through the online shop. An intensely psychological symphony, the album orbits several multiethnic soundscapes - from Moroccan to Martian - and manipulates those studio mistakes others try to avoid into 14 strangely compelling merging movements. It's been called "a noir narrative filled with anticipation, foreboding and icy climaxes." It resonates more with deep listening. It's a killer acid trip without the LSD. Original musical score for Tony Oursler’s feature-length film/installation Imponderable. Dinoflagellate Blooms features eleven compositions composed, produced and performed by JG Thirlwell. "neo-symphonic avant-psychedelic concept album informed by the culture of fear". Kicking off with a nine minute operatic opus featuring the guest vocal talents of opera singer Abby Fischer, HIDE is an immersive album infused with strands of progressive and contemporary classical, as well as Thirlwell's twisting cinematic journeys, bombast and sombre interludes. Thirlwell produced the album and performs most of the music. Also guesting on the album are long time collaborator Steven Bernstein on trumpet and Leyna Marika Papach from Thirlwell's Manorexia ensemble on violin. In addition, Elliot Hoffman of Carbomb plays drums on a track, and there are appearances from Ed Pastorini, Jeff Davidson and Christian Gibbs (Lucinda Blackbear). Recently Thirlwell has been channeling his perverse, eclectic vision into an orchestral context: his Manorexia ensemble purveys intricate, sumptuously weird chamber works, nodding both to classical music and Thirlwell''s stylized soundtrack for the Adult swim cartoon The Venture Bros.
JG Thirlwell presented an evening of two sold-out sets of music from his current project, Manorexia, an ensemble consisting of string quartet, piano, percussion, and himself on laptop. If you are familiar with Thirlwell''s solo project Foetus or his fast paced big band project Steroid Maximus, this current ensemble may come as a surprise to you, as it is primarily quiet, sensitive, and dreamy. However there are hints of Thirlwell''s other personalities hidden in the music: as haunting melodies drift over other-worldly harmonies, the potential of violence looms, with occasional bursts of industrial percussion and raw, repeated string figures that cut into the otherwise serene sound. Manorexia''s music always seems to be on the verge of some magical discovery -there is a sense of wonder and amazement as the cinematic landscapes unfold. The most exhilarating and emotionally moving piece, "Chloe Don''t Know I''m Alive" (from Manorexia''s second album, The Radiolarian Ooze), began with a string unison while the pianist bowed a low piano string, emitting a glacial texture. Tom-tom tremolos swelled in and out of the sound as the string tunings shifted ever so slightly, creating immense emotional impact in an already apocalyptic atmosphere. In all this darkness, somehow the narrative of the piece ended up in light, as the harmonies brightened, and bells were ringing. So it''s a performance of fairly creepy, subtly exciting and wonderfully rendered pieces, featuring three lovely ladies on violins, one equally lovely lady on cello, one super chap on percussion and xylophones and whatnot and the foetus JG Thirlwell himself on laptop. The least noticable part is played by Jim and frankly I have trouble figuring out exactly what is coming from his laptop, but it''s unimportant. The whole thing is easily enthralling enough to pop me out of my Brooklyn Beer induced premature semi-slumber and raise the hairs on my neck. It''s not horror music, but it is subcutaneous and it is impressive in its execution to the level that makes you sick and delirious with awe. It rolls and changes and surprises you. It is a show that finishes with you immediately walking up to buy a CD despite knowing that there is no way it can recreate what you just witnessed. It is one of those rare shows that makes you feel exceptionally lucky to be in a certain place at a certain time. 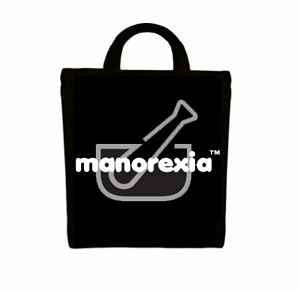 The new album from Manorexia. The album is 50 minutes long and contains eight tracks, radically rearranged from the first two Manorexia albums and performed by the chamber ensemble version of Manorexia in the arrangements that JG has been performing and perfecting over the last couple of years. Recorded at Nolite Studio, Berlin, 2005-2009 with additional recording at Self Immolation Studios, Brooklyn. LOVE is a sweeping dramatic epic drenched in harpsichord and orchestras with jarring left turns, bombast and seduction. It features duet with Jennifer Charles of Elysian Fields and an appearance by the amazing Pamelia Kurstin, the world's foremost thereminist! Ectopic Ents has released DAMP, a new Foetus album which is a "satellite appendix" album, exclusively thru the Shop page on this website. The music consists mainly of unreleased material as well as some rare material. Steroid Maximus is the instrumental guise of the inscrutable J.G.Thirlwell (aka FOETUS). This highly acclaimed long awaited album contains the cinematic stylings of JGT encompassing twisted neo-blaxploitation, spy/crime noir-intrigue, haunting soundscapes, sinuous carnal funk, exotic soundtracks of the unimagined and ethnic music from civilisations yet to be invented! The album which remixes FLOW, featuring monster mixes by Amon Tobin, Kid 606, Pan Sonic, DJ Food, Franz Treichler (Young Gods), Phylr, JG Thirlwell, Ursula 1000, Charlie Clouser, Kidney Thieves with Sean Beavan, Panacea and Jay Wasco. The mighty millenial debut features eleven fresh monsterpieces from the driving hits "Need Machine" and "Quick Fix" to the dramatic churning epics "Mandelay" and "Kreibabe" to the cinematic bombast of "Suspect:" and breakneck bigband of "Heuldoch" this is an exhausting,exhaustive roller coaster thru the fevered imagination of JG Thirlwell. The classic bone quaking, pulverizing release. The only Foetus album on Sony. Orchestras, horns, guitars and noise collide and erupt in this sick symphony. The groundbreaking instrumental epic of "soundtracks for imaginary films and ethnic music for civilsations yet to be invented". A classic. Featuring contributions from Away, Mark Cunningham, Don Fleming, Lucy Hamilton, Hahn Rowe and Raymond Watts. Originally conceived as two EPs (hence the inclusion of Quilombo and Life in the Greehouse Effect, which also appear in slightly different versions on Gondwanaland). This cinematic album creeps into the recesses of your brain in a rapturous, ravenous seduction. A huge live album originally released as a double CD and live DVD, recorded at CBGB. You get the entire whopping 100 minute + double album for the price of a single album. SINK is a Foetus Inc compilation album first released in 1989 on Self Immolation/Some Bizzare and Wax Trax! Records. It compiles rare and unreleased songs from various Foetus projects from 1981–1989. Many of the rare tracks on the album have been edited shorter than their original length. 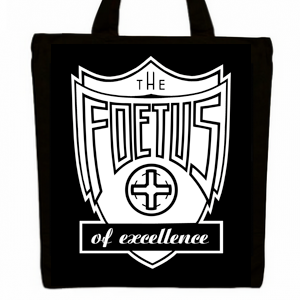 The Foetus Interruptus album is aggressive, intense and experimental, a cinematic roller coaster! The Foetus Interruptus album is aggressive, intense and experimental, a cinematic roller coaster. Wiseblood is an electronic noise-rock band formed by Clint Ruin (aka J. G. Thirlwell) and Roli Mosimann. In Thirlwell’s words, the album Dirtdish is "sick, violent and macho" American [music] made by non-Americans. 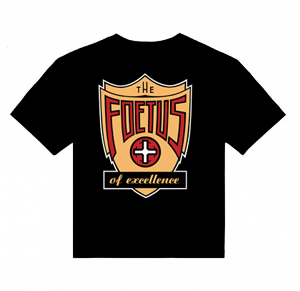 The material tends toward the realm of the darkest and most sexual Foetus songs, with Mosimann’s Swans lineage showing in the slow, crushing pacing of many tracks. The legendary concept album about oppression, hailed as a Foetus masterpiece by many. One of Thirlwell's career milestones, HOLE is a tour de force of aggression, experimentation and structure, far reaching in it’s juxtaposition of styles and wit, and pushing the boundaries of the studio. 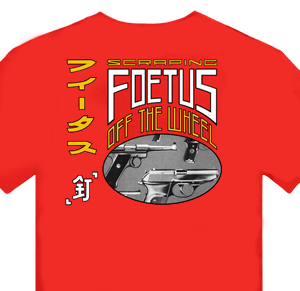 The second album from Foetus released in 1982. Intense songs that explore cyclical systems like building vocal and piano layers with clattering percussion, tape loops and various paranoid manias. 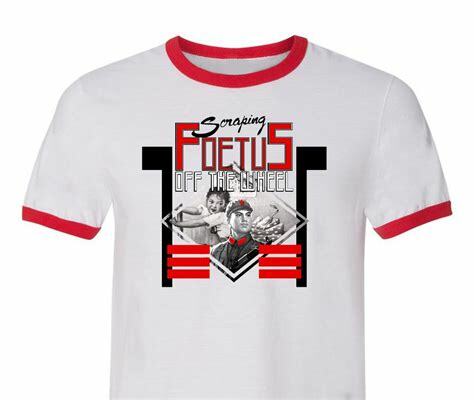 The first Foetus album, released in 1981 is a wild eccentric collision of ideas and mania from music concrete, funk, no wave to noise. JG Thirlwell‘s new musical project is Xordox. This is the first album entitled Neospection, released on the highly respected and influential Editions Mego label. Neospection is predominantly a synthesizer record, recorded at Self Immolation studios in Brooklyn, although it also includes overdubs of Buchla and Serge synthesizer created during Thirlwell’s residency at the legendary EMS Studio in Stockholm. The album features Noveller’s Sarah Lipstate on guitar on three of the eight tracks.7 of 8 tracks appear on the vinyl LP version. The vinyl also comes with a download code so the buyer may obtain the full album digitally. The long-awaited follow up to the highly popular score from the hit Adult Swim cartoon The Venture Bros, composed and performed by JG Thirlwell. Please respect the wishes of this artist by not uploading material to blogs, torrents, P2P services and social sharing sites. The vinyl also comes with a download code so the buyer may obtain the full album digitally. Signed and numbered edition. 4 color screenprint on French 100lb cover, 24x18. Sold Out. Purchase from Kayrock.